Vancouver International Fringe Festival. September 2007. ROXANNE: I’m the director here. I understand the symbolism of exiting through the vomitorium! What I don’t understand is why on earth I would block something without using the diagonal. Quel étrange. Genevieve has been hired to play Helena at the Pacific Classical Theatre Summer Festival’s upcoming production of A Midsummer Night’s Dream. She gets a little more than she bargained for, however, when the show is hijacked by the real Robin Goodfellow, who, despite her good intentions, can’t resist using her magic on the actors. 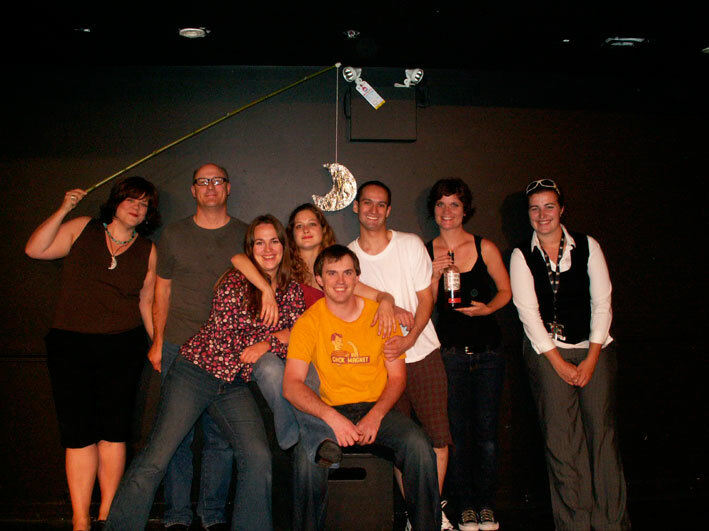 The cast L-R: Kathryn Kirkpatrick, Murray Price, Michelle Deines, Una Memisevic, Sebastian Kroon, Kerry Allchin, Jaimie Tait, and SM Kat Brooking.